ICYMI: Mario's Movie Mulligan, Tarantino Tackles the '60s, The Rock Doesn't Fall Far From the Tree, & More! Alright, kids! Much better week than the last, I’m happy to say. Like for instance, the homeless woman who lives at the corner of my street didn’t throw as much trash as usual at me! On top of that, here’s some other great news I hope you’ll enjoy! Michael B. Jordan the actor (the ex-basketball player’s middle name is Jeffery) is still acting but has also started producing. That part's old, though. 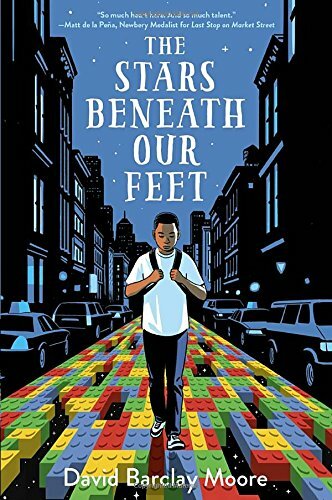 Now, in what seems like a relatively short time and with only two producing credits under his belt at the moment, Jordan has signed a deal with Endeavor Content to direct an adaptation of the David Barclay Moore novel The Stars Beneath Our Feet. Never heard of the book? Me neither until now, but it does sounds intriguing. The plot revolves around a young African-American boy who, after the death of his brother, uses imagination and the “magic” of LEGOs to walk a safe path through the projects of Harlem. I’m very interested to see what "the magic of LEGOs" entails, but from a summary like that, along with the book cover, I have a feeling this could actually be a pretty cool, highly visual movie. It also seems to come from the first-hand experience of Moore, as he was a former communications coordinator for the Harlem Children’s Zone before he wrote The Stars Beneath Our Feet as his debut novel. There has been no release date, beginning of production date, or cast announced at this time. In a world where cinematic universes feel like everything a movie studio can hope for, Universal has struggled to find its footing. After announcing they were going to take all the classic monsters they have the rights to -- like Wolfman, Frankenstein, and the Mummy -- Universal has slammed the brakes on this one. We all know what a blunder The Mummy starring Tom Cruise became this year, and as that was supposed to set the stage for Universal’s Dark Universe, Universal thought what a lot of people did and took a wrecking ball to the stage. I for one was at least looking forward to seeing what they could’ve possible done with The Creature from the Black Lagoon, a film and monster that, out of all the previous ones to get remade, never got remade. I don’t know what it is about that creature but he just looks so cool and would be awesome to see again with modern-day practical effects (no CGI, please). Well… guess we'll have to settle for Guillermo Del Toro's The Shape of Water. It's pretty much the same thing, right? Possibly the news that’s gotten people most hyped this week is that Mario, as in Super Mario Bros., will be getting a big screen mulligan. After the horrendous first film from 1993 that was an exercise in hiring the absolutely wrong people to direct a film, Nintendo has been very apprehensive in pursuing their video games to big screen adaptations outside of Pokémon. Maybe it’s the new Switch, maybe it’s Mario Odyssey, or maybe it’s just that Mario is a total icon, but Nintendo has agreed to try and make another film based on the character and his ridiculously trippy world. Nintendo has tapped in the company who made Despicable Me and Minioins, Illumination Entertainment, so it’s safe to say that this Mario movie will be animated. (Probably a safe bet after the first live-action one.) Outside of that, there are no other details. Over the years, there have been rumors of a new Mario movie or even Legend of Zelda, which has been in particular subject to April Fool’s pranks online. While Mario is listed as being in “early development”, it’s still the most solid move Nintendo has made in years. I’m still holding out for a Legend of Zelda movie but would that really be a good thing? I don’t know, but I feel good knowing Mario is on the way. If I could have anybody play characters from Mario, though, it would be the cast of “It’s Always Sunny”, with Danny Devito as Mario, Kaitlin Olson as Princess Peach, and Charlie Day as Toad. Too bad neither Glenn Howerton or Rob McElhenney feel right for Luigi. An alternate so-bad-it’s-good casting would be Kanye West as Mario, Kim Kardashian as Princess Peach, Jay-Z as Toad and Drake as Luigi. Earlier this year, it was reported that Quentin Tarantino was putting together a script on the The Manson Family Murders instigated by cult leader Charles Manson. While Tarantino let this news go around for a while, he only recently came out and said that’s not exactly what his next film will be about. Tarantino told IndieWire earlier this week that his next film is, “Not Charles Manson, it’s 1969.” What this means is really anybody’s guess. He makes it sounds like it’s about the whole friggin’ year, which if it is, then that’s a pretty ambitious project. You have Woodstock giving the death rattle of the hippie culture, school walkouts and protests of the Vietnam War, the War itself, the Moon landing, Richard Nixon becoming president, The Beatles' final performance, a mysterious disease killing a teen in St. Louis but won’t be identified until 1984 as AIDS, “Scooby-doo, Where Are You” premieres… just crazy stuff. 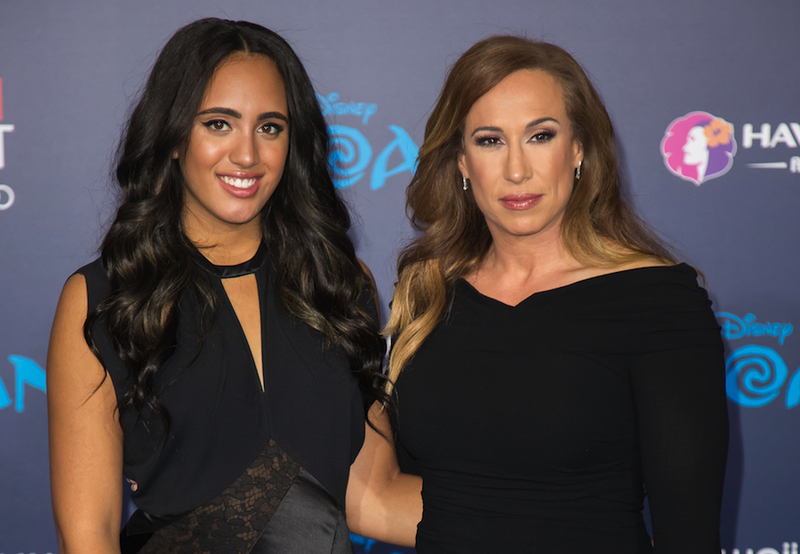 While the young Johnson’s IMDb page only has acting and directing credits for what appears to be a web series entitled “Where I’m From”, the 16-year-old already has directing credits, and her dad’s The Rock so she’s doing fine in the up-and-coming arena. Past ambassadors have included Melanie Griffith, Laura Dern, Freddie Prinze Jr., Dakota Johnson, and Rumer Willis. Catch the Golden Globes next year on January 7! Yup, this week there were some new trailers so check ‘em out! "Waco" (miniseries) – Luigi? What’re you doing here? This ain’t Brooklyn! Rampage – A favorite game of mine as a kid where you’re a giant ape, wolf, or lizard that reeks havoc across a number of cities and even in outer space. I’m skeptical of this, though, considering whenever you lost in the game you would revert to your human form because you were a part of some experiment. This seems to ditch that subplot for some reason. Still hoping it’s fun! The Strangers: Prey at Night – Since sequels coming out a decade or more later seem to be the latest trend, why not another Strangers already?